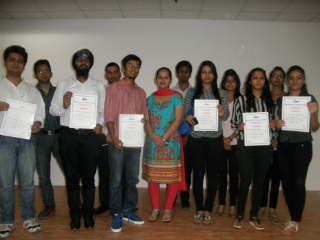 The Finance Club of JIMS organized a business and finance quiz “Quizzotica” for the 2014-2016 batch of PGDM, PGDM – International Business and PGDM – Retail & Marketing. The quiz was designed to brighten business and economic lessons of students and encourage them to keep abreast of business and economics news. 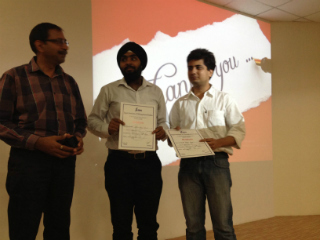 28 teams from all the PGDM verticals participated in the quiz. 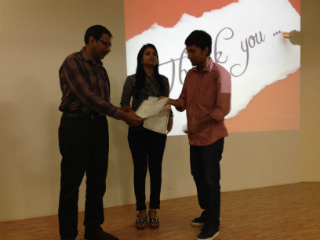 After the rigorous preliminary round, six teams were selected for the Final round of Quizzotica. 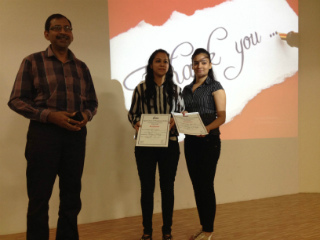 The quiz was an excellent platform for the students to help them remember content they had covered, and to help assess what they learned and moreover was an analytical exercise to judge the general awareness and academic knowledge of the students. 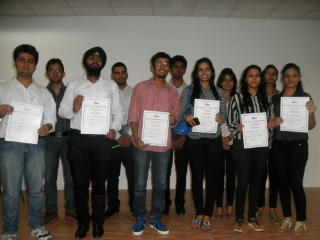 The teams contested in the finals gone through six rounds and the final Rapid Fire round was the most exciting as the teams had to answer correctly the maximum no of questions in a stipulated time. 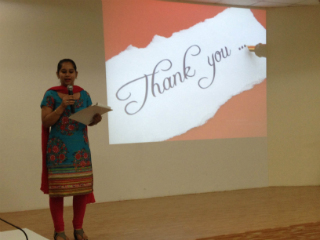 The entire event was conceptualized by Ms. Dilpreet Kaur, Faculty, JIMS and was a huge success as it motivated students to “want to” learn.